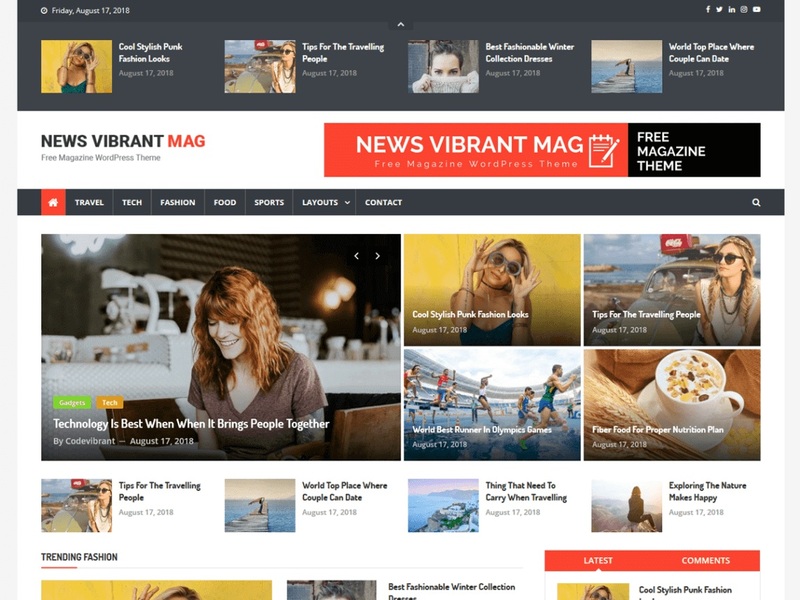 News Vibrant Mag is a child theme of News Vibrant modern magazine WordPress theme, with creative design and powerful features that let you write articles and blog posts with ease. Does it use the best clean SEO practices, responsive HTML5, and on top of that, it?s fast, simple, and easy to use. Use the Customizer to add your own background, page layout, site width and more.